First published in 1970, this book provides an introduction to literary realism. 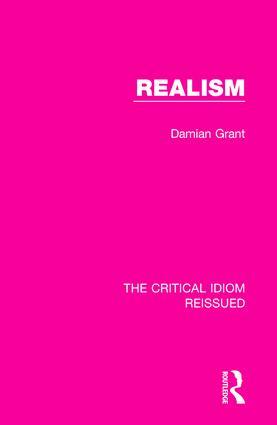 After considering what realism is and its philosophical roots, it goes on to examine the emergence of the idea of realism in nineteenth-century France and its gradual spread across the wider republic of letters. This work will be of interest to those studying nineteenth-century European literature.